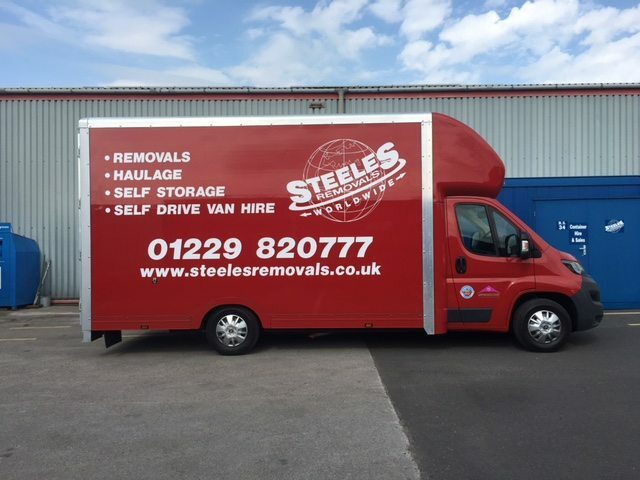 Steele’s Removals have been carrying out successful house removals for many years. moving in excess of 1000 people, making us the leading name for this service throughout Barrow-in-Furness, Kendal, Windermere, Lancaster, Morecambe, lake district area and the whole of the UK. 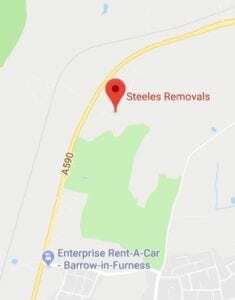 So whether you are moving down your street or to the other end of the country, Steele’s Removals can offer you a simple, stress-free removal experience. Meticulous planning is the key to any successful house move, which is why we take this part of the process very seriously, With this in mind, Steeles Removals will assign a removals manager to your move who will oversee every aspect, from the initial survey of your needs, through to packing, preparation, transit and taking care of any required storage at either end. 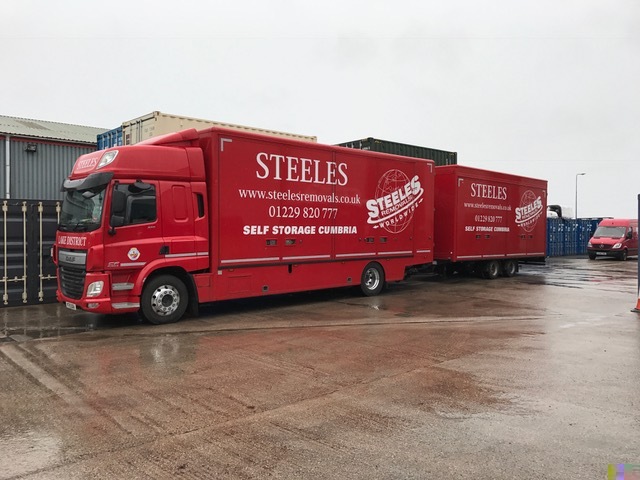 Steeles Removals provide free delivery of packing crates before your move, allowing your staff to pack the belongings from their desks themselves. Alternatively, our team can perform all packing and unpacking for you. Moving to a new house, for whatever reason, can be stressful enough. The last thing you need to worry about is whether your belongings will arrive at your home on-time and in good condition. 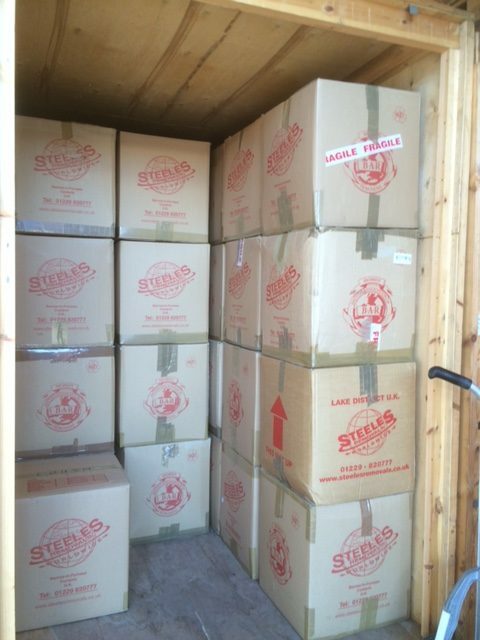 The Steeles Removals team can deliver a completely simple and stress-free service. We are here to make your move as smooth as possible, and we provide a reliable service to all our customers. 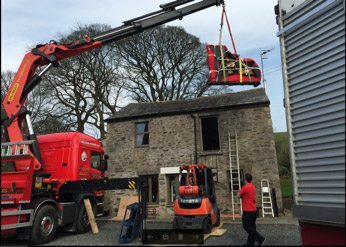 Our team understand what can make or break any house move. We have helped thousands of homeowners to meticulously plan their house move. This can help to eliminate stress and reduce the number of things which can go wrong, either due to unexpected problems or miscommunication. Our team can deliver a wide range of house removals services to suit your needs. As part of our comprehensive service, we will deliver high-quality packing crates to ensure that your belongings are completely safe during transportation. 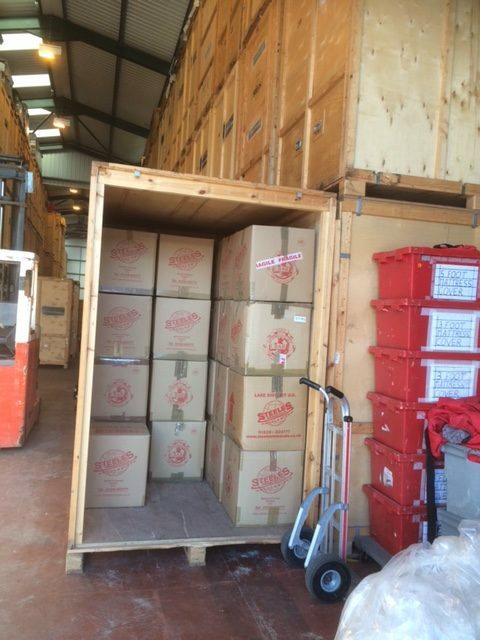 This can also help to speed up the packing and unpacking process, as most crates will be of a standardised size. They can easily be stacked on top of one another without the risk of any belongings becoming damaged. In some cases, our team can provide temporary storage of your belongings. This can be essential if you need to leave your current home a day or two before you can move into your new property. We will take care of your belongings for a short period of time and deliver them to your new home as soon as possible. We will help you with every aspect of your move to give you peace of mind. We have a large modern fleet of vehicles complement the First Class Service that our trained staff provide. We are equipped to carry out any removal regardless of location or destination. Multi drops can be arranged and may not be as expensive as you think. Tailor made coverings protect your furniture throughout the move, and in storage, if needed. Basic insurance is provided free of charge. It does, however, have certain restrictions so please see the Insurance Page. 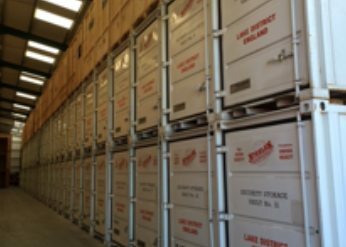 Should you need to move your belongings into storage you can be assured that we have the very best secure furniture storage facilities in Cumbria. Your home contents are skilfully and carefully packed into your own exclusive containers (an average household would probably require 3 to 4 containers), we carefully label, inventory and pack everything into each container. Our normal practice is to bring the empty containers to your house using our specialist vehicles, once packed they are unloaded by fork truck at our depot and carefully stowed away into our new purpose built, heated, alarmed warehouse equipped with all the latest CCTV. The house removals manager will be an essential part of the entire process. 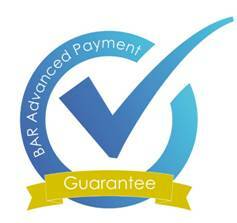 They will liaise with you to ensure that you are completely satisfied with the service that we can provide. Our professional team can deliver a wide range of removals services to properties across Cumbria and the UK. In addition to local house moving, our team can deliver a reliable service to properties across the country. No matter how far in the UK you are moving, our team will be able to deliver your belongings as quickly and safely as possible. Short-Term, Container Storage from £10 per week. Art and Antiques Removal Services. The backbone of any removals company is its fleet. Steeles Removals is proud to offer a large fleet of vehicles which can deliver comprehensive removals services. We are equipped to deal with any kind of project, from any location and to any destination within the UK. We can even arrange multi-drops as required, meaning that you can save money on delivering belongings to different properties. Our vehicles are all designed to offer a reliable service to your belongings. Our drivers are all careful to ensure that your property reaches your new home safely and intact, without having sustained any damage, even over long journeys. Our experienced team can offer vehicles in a range of sizes, so you won’t be required to pay for more space than you need. We can even provide cranes and other equipment to easily transfer extremely heavy belongings, like pianos. There is no domestic removal project too large or too small for our team, so don’t hesitate to get in touch today. 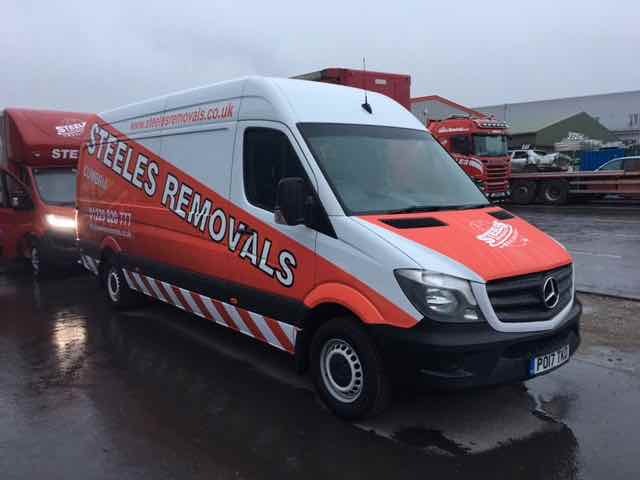 Here at Steeles Removals, we are able to deliver complete house removals services for all kinds of properties across Cumbria and the UK. Whether you’re looking to move across town or across the country, you can be assured of the same reliable service from our experienced and professional team. Over the years, we have helped more than a thousand homeowners to transfer their belongings from one property to another as quickly and safely as possible. For more information, don’t hesitate to get in touch with our professional team today. You can talk to one of our domestic removals specialists by calling us directly on 0800 0193577. If you prefer, you can email us at info@steelesremovals.co.uk and we’ll get back in touch as soon as possible.